Digital Forsyth | R. J. Reynolds High School basketball game against Salisbury NC’s Boyden High School, 1958. 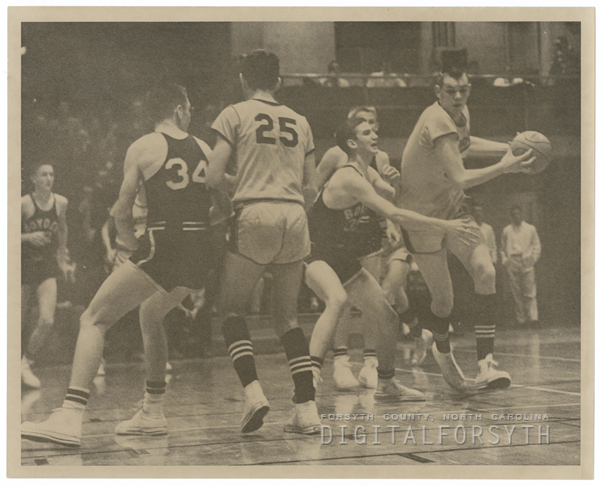 Home › Photos › R. J. Reynolds High School basketball game against Salisbury NC’s Boyden High School, 1958. R. J. Reynolds High School basketball game against Salisbury NC’s Boyden High School, 1958. The player with the ball is Fred Fowler. Thank you for the identification. I’ll add his name to our photo database. R. J. Reynolds High School basketball game against Salisbury NC's Boyden High School, 1958.